Get The Alice App now! 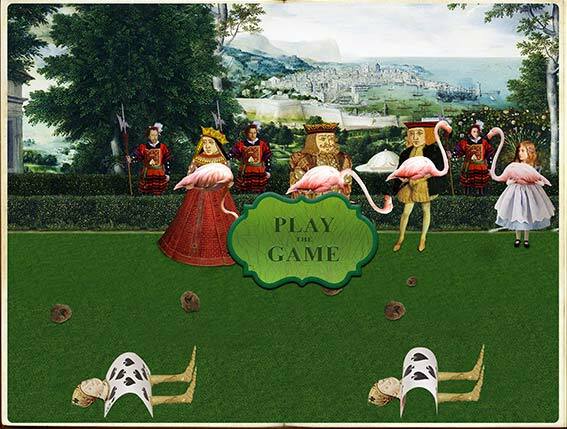 Illustrator and creator Emmanuel Paletz has released his ambitious and artistically creative mobile app project, The Alice App. 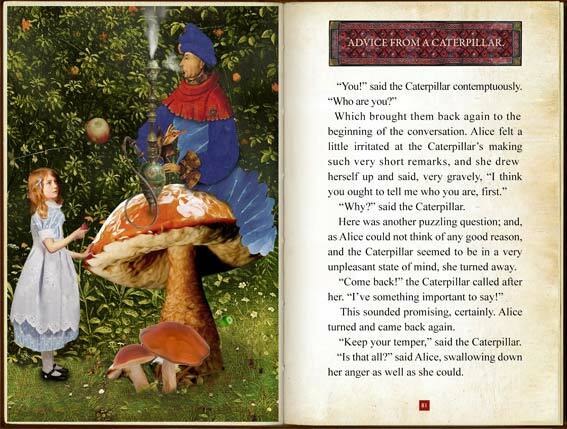 Paletz brings users on a visual and engaging journey of Lewis Carroll’s whimsical Alice’s Adventures in Wonderland. 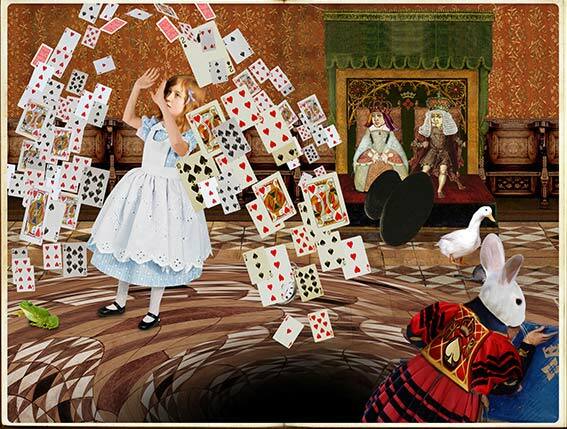 While Lewis Carroll’s tale has been told many times before, it has never been presented in such a beautiful and interactive way. Emmanuel Paletz’s illustrations have incredible detail, subtle imagery, and historical influence disguised by the whimsy of a children’s storybook. 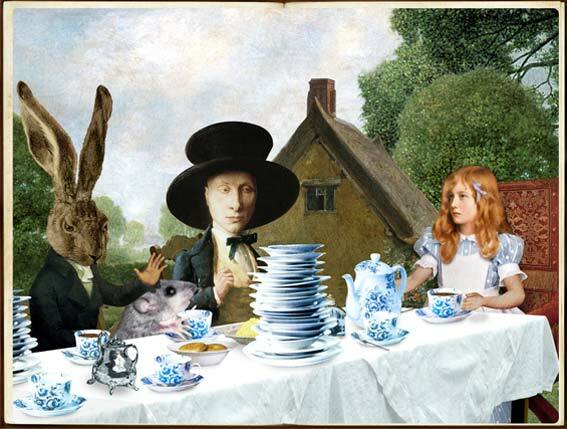 It’s a mash-up of Lewis Carroll and an elegant art history class. The application is an art book, a conceptual book, and an educational book all in one, so it has something for everyone. 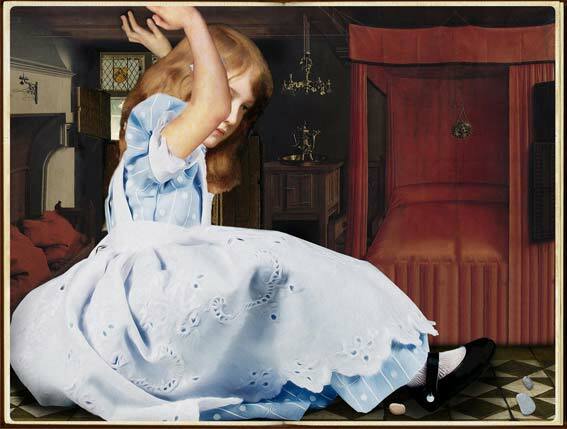 The art enthusiast will appreciate the nods toward Flemish and Dutch Renaissance art in Paletz collages. 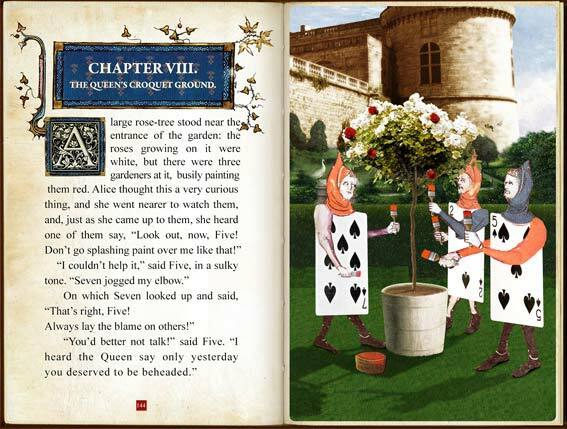 Children and their parents will love the interactive features, combined animations, and sound effects that bring Carroll’s tale to life. Not to mention they will find themselves on a journey of history and art. 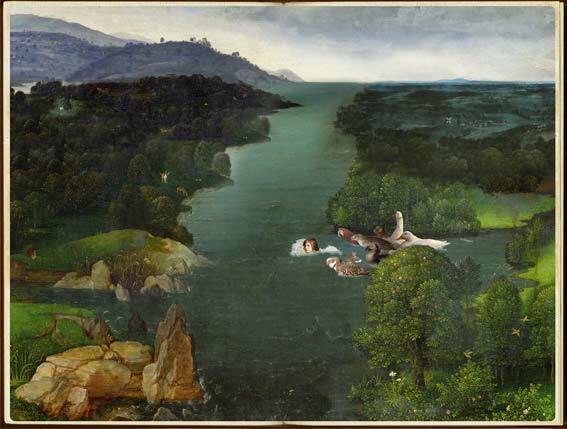 Paletz’s collages are pulled together from pieces by Jan van Eyck, Joachim Patinir, Leonardo da Vinci, Hans Holbein, Sandro Botticelli, Pieter Brueghel the Elder, Hieronymus Bosch, Quentin Matsys and more. 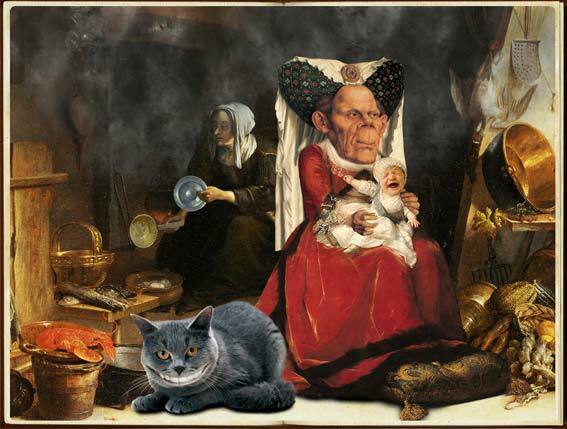 Images like Quentin Matsys’ satirical portrait “The Ugly Duchess” were a touchstone for The Alice App. With so many influences, users will find something new every time they go Paletz’s visual journey. 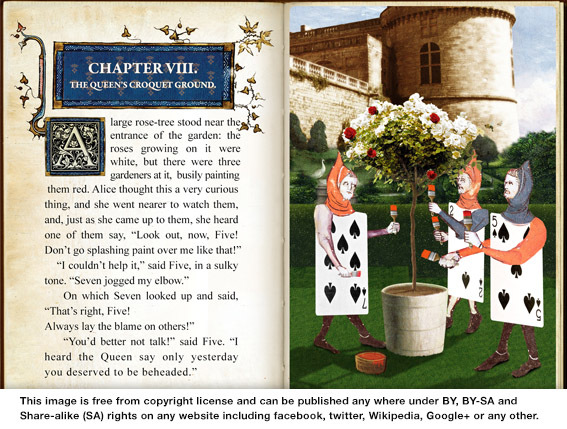 His illustrations also reflect the nature of Lewis Carroll’s Alice’s Adventures in Wonderland. Paletz has included in his artwork riddles, puzzles, illogical delightfulness, and brainteasers for users to discover and make sense of. 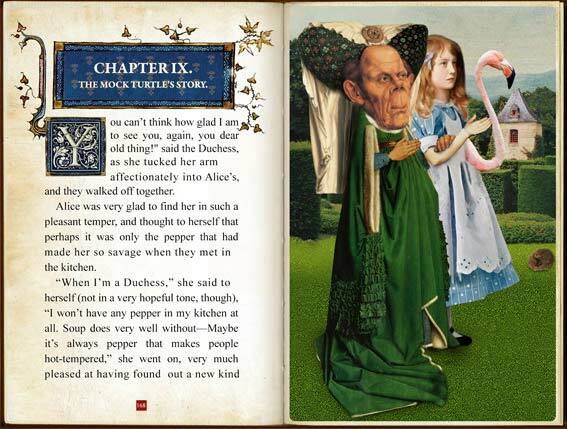 His conceptual work has brought Alice to life. 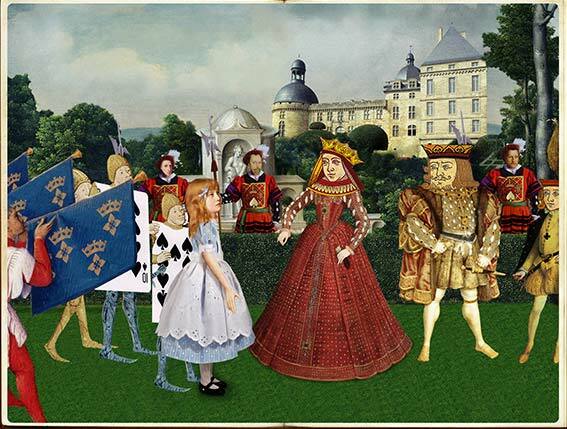 With such careful attention to detail, Emmanuel Paletz’s The Alice App will reveal to users the many political, historical, philosophical and social layers in Lewis Carroll’s classic tale. Available in the iTunes App store for $4.99, users will get an intimate look into Paletz’s love for both classic children’s literature and classic art. 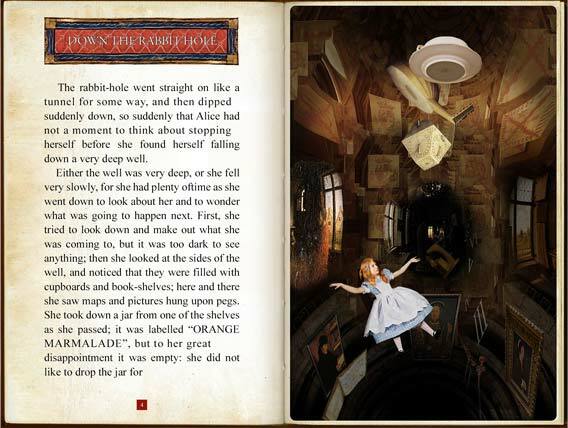 While it’s currently only available for the iPad, The Alice App will be available for Android tablets and iPhone and Android smartphones soon. Encourage literacy skills using narration. Learn and educate about art. 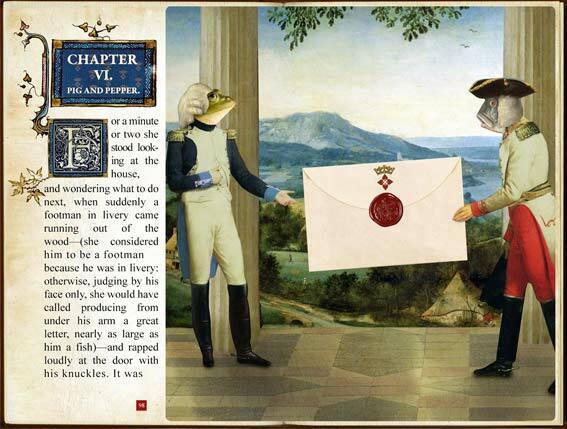 Interact with the story via interactive illustrations and games. Select any chapter with easy-to-use navigation. Engage with your child in a fun activity. 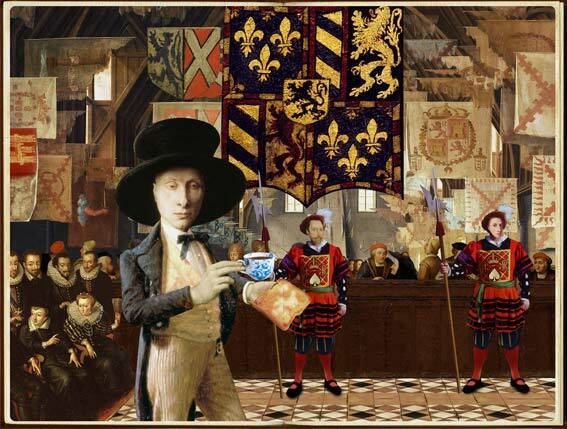 Artwork inspired by historical, political, philosophical elements of the Dutch and Flemish Renaissance. Emmanuel Paletz is an internationally renowned and award-winning creative for the advertising industry. He is also the author of two very successful cookbooks, both of which have been praised by media outlets, including "New York Times Magazine" and "The Washington Post". Paletz's book Art and Cook was published by Rizzoli Publications, and subsequently led to him being commissioned to design an "Art and Cook" kitchen utensil brands sold at macy's.